Buzz Points offers a localized rewards program that connects local businesses with local banks and credit unions, and incentivizes the community to shop at locally owned businesses over national stores or online. Buzz Points places value on enriching local commerce through its innovative "Bank Local, Buy Local" loyalty programs. 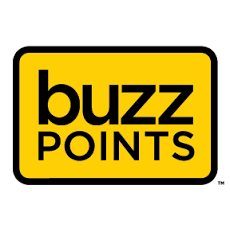 Buzz Points is a community-oriented loyalty program that enables banks, credit unions and other financial institutions to to connect with local businesses to encourage local shoppers. Buzz Points rewards consumers for choosing local businesses over national chains, and for banking with a local community bank or credit union.